Have you ever felt embarrassed in front of a few people either because you fell or you dropped a glass of water on you or for any other careless moment? Then, imagine if you were a famous singer and you fell, forgot your lyrics, peed your pants. Does this sound like science fiction? All this and more have happened and unfortunately cameras have made these embarrassing accidents memorable. Christina Aguilera’s spray tan dripping down her legs is probably a moment she wants to forget. 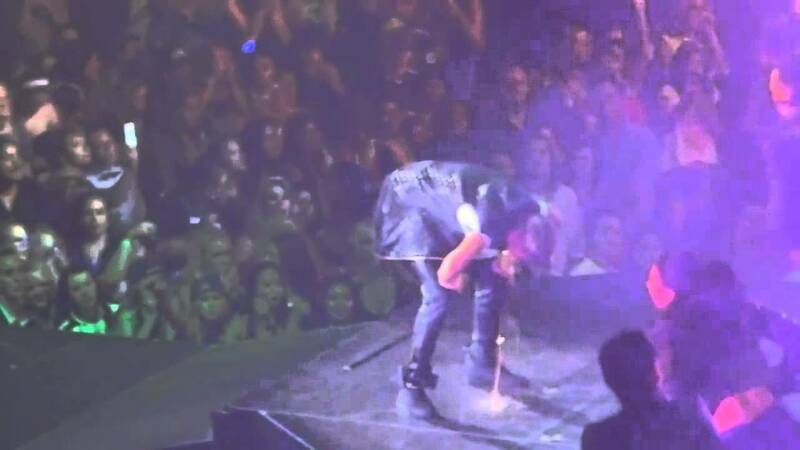 Justin Bieber throws up and then continues his performance. “I should have used the toilet before I went on stage. That was and always will be the most embarrassing moment of my life. I can never live it down.” Fergie has confessed. Madonna falling during her performance. This wasn’t part of Beyonce’s dance routine. The stage was too slippery for Katy Perry to stand. If you hadn’t had enough, the video below is the proof it can even happen to the best of them! Well, stop blaming yourself for every embarrassing moment you experienced. It happens to celebrities too!